Trump Administration Rules That Trump's Company Is Running Trump Hotel In "Full Compliance" With Rules - Joe.My.God. 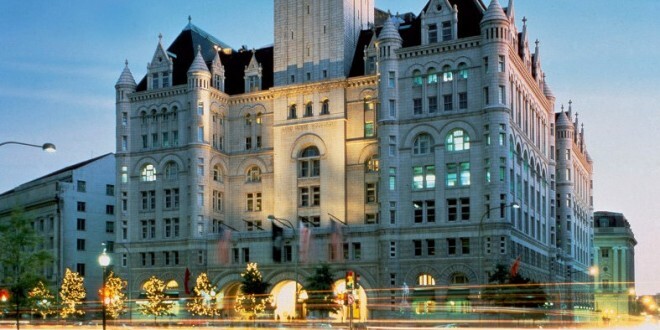 In a Thursday letter to Eric Trump, the president’s son now overseeing the hotel, the project’s contracting officer found the company met the terms of the lease because the president had resigned from a formal position with the company and the organization had restructured an internal operating agreement so he received no direct proceeds from the D.C. hotel business. “In other words, during his term in office, the president will not receive any distributions from the trust that would have been generated from the hotel,” said the contracting officer, Kevin M. Terry. The announcement by the General Services Administration allows Trump’s company, which he still owns, to continue to benefit from a contract ultimately overseen by his administration, a situation that ethical experts have called unprecedented and a conflict of interest that puts the president’s personal financial situation ahead of taxpayers.